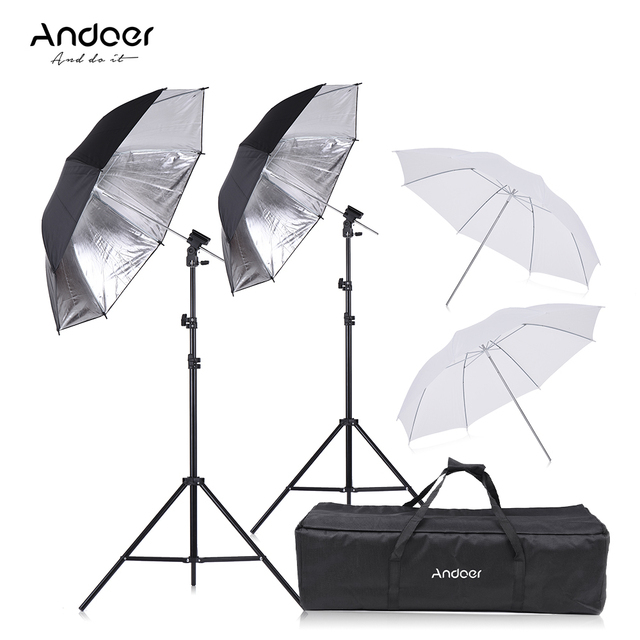 The Andoer photo studio kit includes 2pcs 2m light stands, 2pcs 83cm translucent white soft umbrellas, 2pcs 83cm black&silver umbrellas, 2pcs shoemount B-type brackets and 1pc carrying bag. This professional studio kit is perfect for shooting with speedlite flash unit. 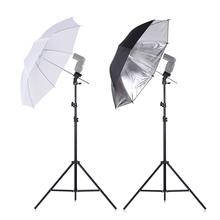 The 83cm translucent white soft umbrella can deliver great skin tone and contrast control. 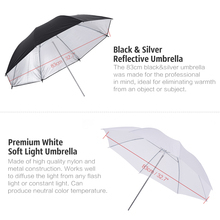 The 83cm black&silver umbrella was made for the professional in mind, ideal for eliminating warmth from an object or subject. Shoemount B-type brackets are designed with a universal cold shoe adapter for use with portable flash units, Such as for Canon or for Nikon speedlights. Type B bracket, versatile and easy to use, will help you achieve the photo quality that your desire. 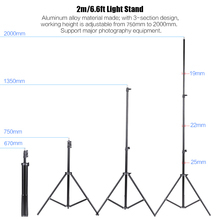 2m light stand is constructed from aluminum alloy, giving it exceptional strength for heavy duty work. 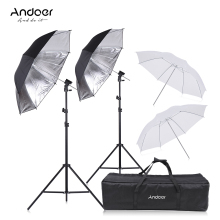 Comes with 1pc Andoer carrying bag for storing the photography kit, which is made of strong and durable nylon material, heavy-duty and shockproof. 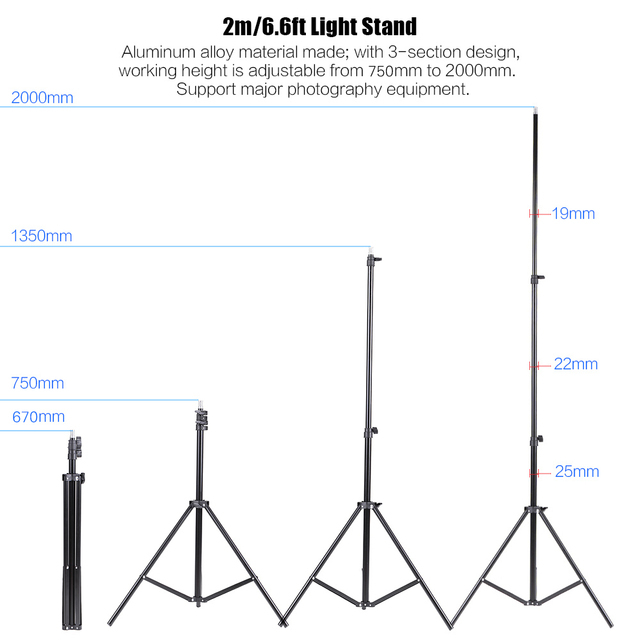 There is a 5/8″ socket to mount a flash unit to a light stand. 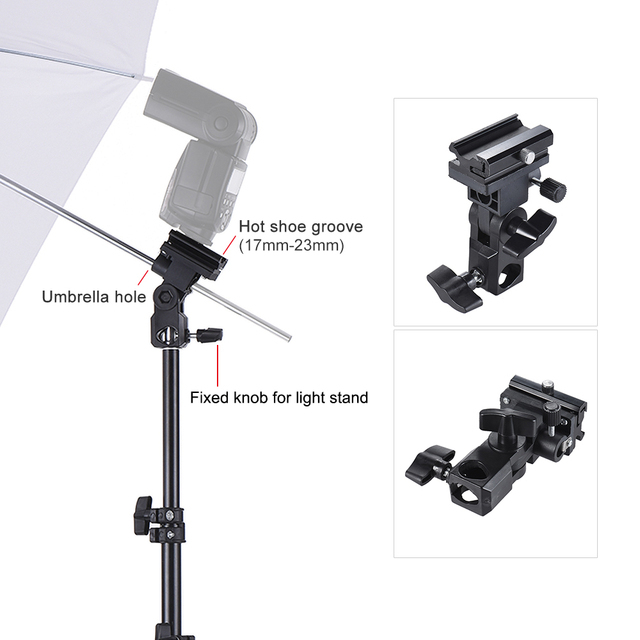 An useful flash light mount for your cameras that is adjustable to accommodate a wide range of hot shoe flashes. 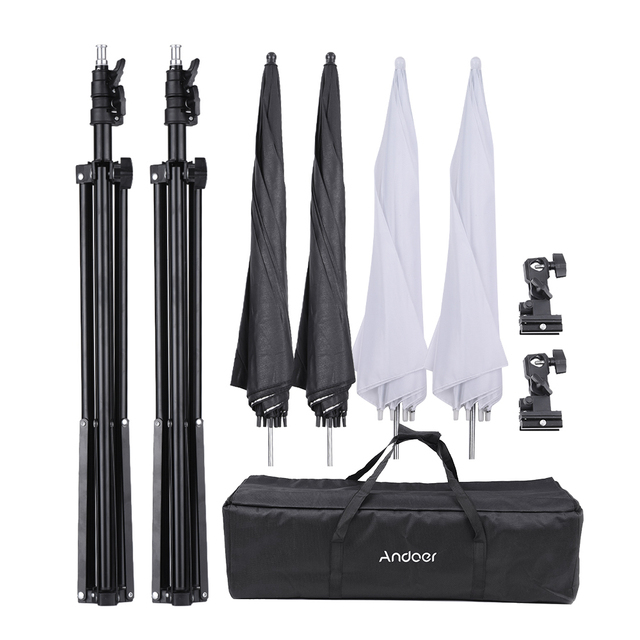 The speedlight is NOT included.